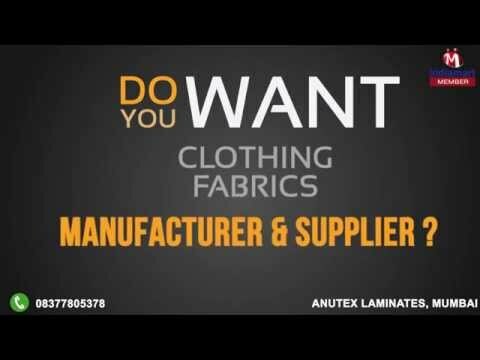 Anutex Laminates was established in the year 1986 as a manufacturer, supplier and Exporter of Laminated Fabrics. We are indulged in producing a whole range of products and the product list contains Laminated Fabric, Waterproof Fabric and many. All these products are meant to suit the basic requirement and needs of the clients and can be used for longer duration of time. The offered ranges don%u2019t only serve the purpose of the client, but are also safe and healthy for the environment. The use of superior materials adds numerous features to our product by making it reliable, trustworthy, and efficient. Our team designs, these products as per the ongoing market trends and preventing it from any sort of slippage. The fabrics which we make are of high stability, dry cleanable and the laminated fabrics are waterproof and last longer duration.